A top Saudi official on Friday insisted his country’s crown prince had no role in the October slaying of a Washington Post columnist, saying the trial of the suspects and the ongoing investigation would show it was a “rogue operation” with no official backing. The New York Times reported Thursday that U.S. intelligence agencies intercepted a 2017 conversation in which Crown Prince Mohamed bin Salman told a top aide that he would use “a bullet” on Khashoggi if he did not return home to Saudi Arabia. He who wrote columns critical of the Saudi government while living in self-imposed exile in Virginia. U.S. intelligence agencies had previously concluded that the crown prince must have at least had knowledge of the plot, leading some members of Congress to call for him to step down as the de facto leader of the country. 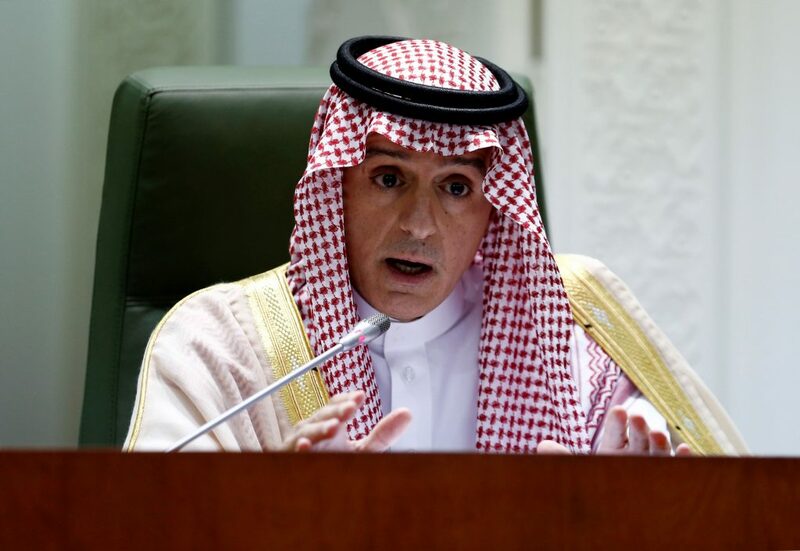 Al-Jubeir bristled at the notion that outsiders would criticize the government. The killing, he said repeatedly, was a “terrible crime” and those responsible will be held accountable. Khashoggi entered the Saudi consulate in Istanbul to get a document he needed for his upcoming marriage. He was never seen alive again. The killing has strained relations between the U.S. and Saudi Arabia. In Congress, criticism over the kingdom’s handling of the war in Yemen had already been building for months. Lawmakers , including Democratic Sen. Bob Menendez of New Jersey and Republican Sen. Lindsey Graham of South Carolina, introduced legislation Friday that would prohibit certain arms sales to Saudi Arabia in response to the killing of Khashoggi and its role in Yemen. “Seeing as the Trump Administration has no intention of insisting on full accountability for Mr. Khashoggi’s murderers, it is time for Congress to step in and impose real consequences to fundamentally re-examine our relationship with the Kingdom of Saudi Arabia and with the Saudi-led coalition in Yemen,” Sen. Menendez said in a statement introducing the legislation.